How To Combat Various Types Of Sleep Disorders? Sleep disorders such as insomnia and delayed sleep phase syndrome affects around three in ten individuals. They become more prominent with the age. Common sleep disorders involve difficulty or inability to fall asleep or maintain falling asleep. Causes include; excess use of stimulants like antihistamine or caffeine, worry, stress, late night studies, a weak bladder and so on. The modern lifestyle and living often considered a major factor behind insomnia or similar sleep disorders. Medical conditions such as hyperthyroidism, restless leg syndrome, breathing disorders, arthritis, indigestion or sleep apnea cause chronic sleep disorders. You might also have experienced an insomnia attack at least once in your life. 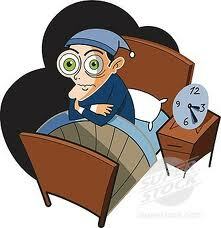 Insomnia is not really a disease but ignoring insomnia initially might turn it into a more serious condition. For the treatment you may consider various treatment methods including some alternative therapies like sleep sound machine, herbal tea made from chamomile and mint extracts. One more easy solution could be a pill. Relax! I am not talking about the regular prescription sleeping pills. They are not good for health and cause addiction. Sleeping pills also impair consciousness and judgment and finally and overall well-being. The pills I am talking about are from Natural Factors, a company serving from more than 50 years to the North American consumers with nutritional and specialty supplements. You can trust them for your as well as your family’s health. Natural Factors is a Canada’s leader in the development and manufacturing of health and nutritional supplements. What Is Tranquil Sleep By Natural Factors And How Does It Help With Insomnia And Other Sleep Disorders? Tranquil Sleep’s main ingredients that help with stress, anxiety, insomnia and other sleep disorders are the hormone melatonin, acid 5-HTP and L-Theanine (green tea’s stress-reliever). The mix of three natural compounds makes synergistic effect to initiate and maintain restful sleep. 5-HTP – 5 HTP is a common name for 5-Hydroxytryptophan. Tryptophan is an amino acid found in foods such as crab, spinach, turkey, fish, sunflower seeds, red meat, and peanuts. Our body coverts this amino acid into 5- HTP which further helps body to produce serotonin. Serotonin is a chemical found in the brain that controls appetite, mood, behavior and most importantly, the sleep. Use of 5-HTP improves sleep patterns and let you sleep uninterrupted throughout the night. 5-HTP helps you to sleep safely and gently and is very effective for various sleep disorders. Melatonin – Melatonin is a natural hormone made by your body’s pineal but it is also contained naturally in some foods. 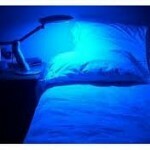 It regulates body’s sleep/wake cycles. Most of the time body’s sleep cycle disrupt due to the things like frequent air travel, shift work and late night parties. When body clock is confused it disturbs the production of melatonin and causes sleep disorders such as jet lag, insomnia or DSPS. Melatonin production inside the body declines with the age. Tranquil Sleep By Natural Factors provide the amount of melatonin needs a body in a form of pill to help you fall asleep faster. L-Theanine – L-theanine is a non-protein amino acid found exclusively in green tea plants that give tea its characteristic umami. The primary reason of insomnia or other sleep disorders are stress followed by bad sleep environment, illness and medication. L-theanine helps reduce stress and enhances tranquility of sleep. The other natural ingredients it includes – Dextrose, stearic acid, 100% pure fructose powder, magnesium silicate xylitol, silica, flavors which are safe and non-habit forming. 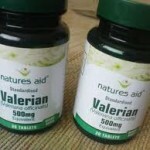 Let’s see what users say about the product (Tranquil Sleep By Natural Factors – 60 Tablets by Natural Factors). 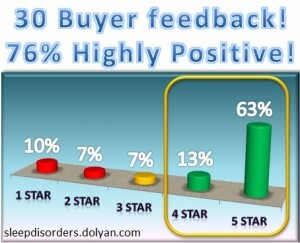 Their opinion is important as it will help us know more about the product. One of the customers found it very effective on her sleep problem. She was looking for some natural solution for her sleep problem that she is having with menopause. She was not interested to start on the prescription drug for her sleep. Finally, after overhearing the conversation between two women at a drug store she bought a pack of Tranquil Sleep. She says “I will definitely stock up on this product and recommend it to everyone else”. Another highly satisfied customer says “it promotes drowsiness and eases any worries or cares”. Tranquil Sleep has reduced all his stress and anxiety and gave her good night sleep. He was very happy with the products and has recommended it as well. Tranquil Sleep is taken for insomnia and other sleep disorder. The customer who was insomniac since his late teen found it a wonder on his insomnia problem. He was done with everything suggested to him. After using the Tranquil Sleep he not only slept the whole night with restful of sleep but also woke up bright and alert in the morning. A customer who was not really negative on the products says “I think for most people if your insomnia is due to stress or age related factors, it’s definitely worth trying”. The Customer was actually going through autoimmune disease found Tranquil Sleep an aid in his sleep but cannot entirely depend on this natural sleep aid because of his health issue so he tried some other medicine, which proved more beneficial to him. 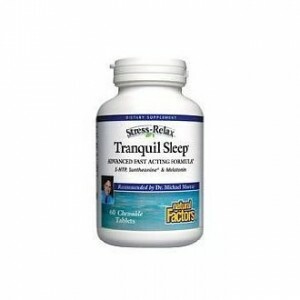 Without any doubt my verdict goes positive with Tranquil Sleep By Natural Factors. These are chewable tablets; take them an hour before going to bed for best results. Insomnia is more common in women than men. I found various satisfied women taking it without any fear as it is safe and non-habit forming. You can completely rely on these tablets for your insomnia or other sleep disorders. It works consistently every time; you need not change or increase the dose after sometime to get into the sleep or for a restful of sleep throughout the night. Consult with the doctor for its use if you are already taking immunosuppressive or blood pressure medications. It is not recommended for children as well as on pregnant women. For others a dose of 2 tablets at bedtime is suggested for insomnia and other sleep disorders.